In the future, I would like to be an interpreter, and by completing a year abroad placement, I was provided with the right skills to be successful in this type of job or any type of job which requires communication on a daily basis. What do you think about the course staff – how do they support your learning and University experience? 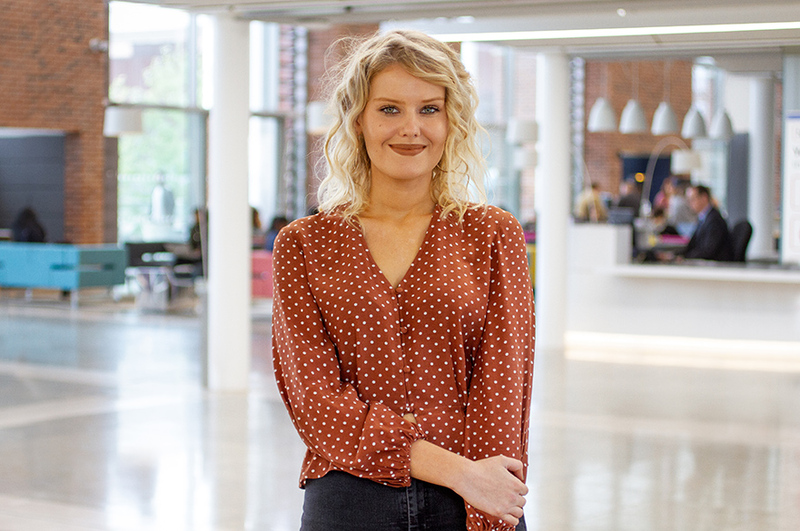 "I think my biggest achievement in NTU was without a doubt completing a year abroad placement in Germany and getting a diploma with a grade of distinction. Also writing a blog about my year abroad experiences, which I didn’t think I was capable of. I was very apprehensive about moving to Germany, it seemed like such a risky step but was very proud of my achievements in the end." Please can you tell us a little bit about your Exchange / Year Abroad. What institution/s did you go to, and how long were you there for? "I studied at the University of Potsdam for a year in Germany. I participated in variety of different courses, which were quite like the ones I did in my second year at NTU. I did some German grammar, History, Politics and an English Translation module." "Before I moved to Germany, the first thing I had to decide was whether I wanted to do a study or a work placement. There was a choice of different universities in both Austria and Germany, and before I completed my application I had to do some research to decide which region and university would be the most suitable one for me. After my application was sent to the Languages Year Abroad team, they contacted the university to see if they would accept me onto their course next year. I started my year abroad preparation in my second year to plan it accordingly." What was the most interesting / enjoyable aspect of your time abroad and why? "Learning new skills, becoming independent and confident, being surrounded by a different culture and environment and most of all becoming better at German. Everything about a year abroad placement made things a lot more enjoyable but challenging at the same time. I had to live out of my comfort zone and speak to people every day in another language. This was stressful but also an amazing feeling at the same time, especially when I could see the improvements in my language. I also love travelling and learning new things about different cultures, and this opportunity enabled me to accomplish that." What skills (personal and professional) have you gained from this experience, and how will these skills enhance your employability for your chosen career? "Independence, problem-solving, decision-making, confidence, team work and communication skills. In the future, I would like to be an interpreter, and by completing a year abroad placement, I was provided with the right skills to be successful in this type of job or any type of job which requires communication on a daily basis." "I would go back and re-live my exchange any day, as it was a fantastic opportunity for me personally to learn things about myself and what I’m capable of. It was a year that changed me and made me grow as a person. It was a year where I was shocked to see how much the accuracy of my language was improving so quickly. And a year where I’ve had the most amazing experiences in my life. By far, it was the best year for me at university, and I’m still so thankful that I changed my mind and decided to do a placement in the end. It’s going to be a year which I’m certain any Erasmus student will love and keep in their mind forever, no matter how afraid you will be at the start."